Best known for rubber gloves, household favourite Marigold* is the perfect cleaning partner this summer, thanks to its new super-absorbent, all-purpose, “Oops Away” lightweight cloths. 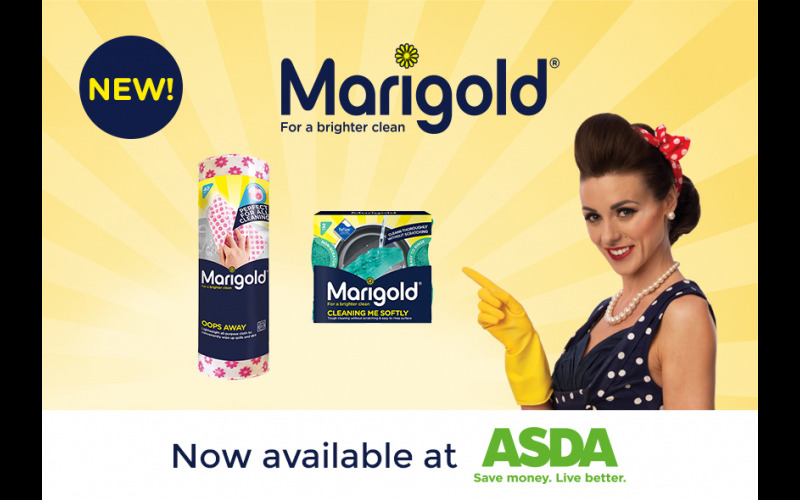 To celebrate the launch of Marigold’s Oops Away Cloths, now available in Tesco stores nationwide, we’re giving five lucky readers the chance to win a £100 Tesco gift card! For summer clean-ups in just one swift swoop, Marigold’s super-absorbent Oops Away Cloths (pack of 6) will leave surfaces brilliantly clean. Perfect for all cleaning, Oops Away lightweight cloths remain strong when wet and can be rinsed and re-used, for a multitude of tasks. Strong and absorbent, Marigold’s all-purpose Oops Away Cloth Roll (40 cloths) comes in an attractive design, on a handy roll format, so you can pop it onto a kitchen roll holder, ready for use at any time - a great alternative, when kitchen roll is not enough. Find more of Marigold's products here.